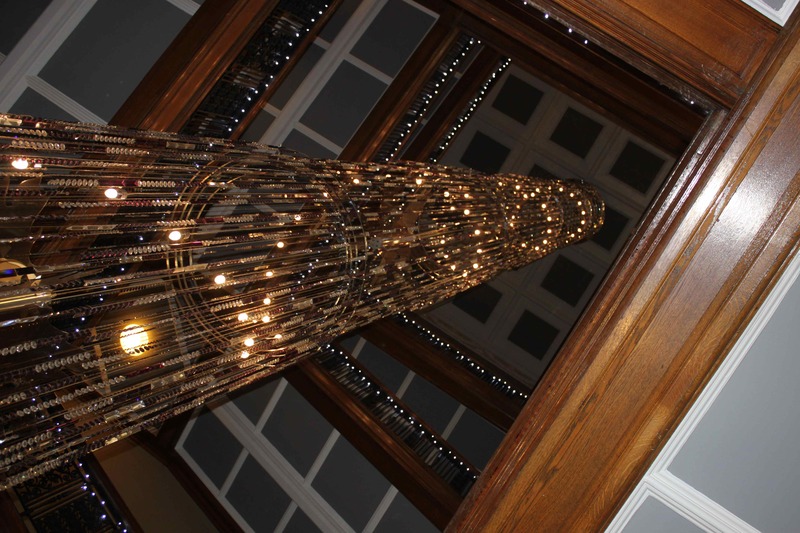 ….. Glasgow! Here I am in the land that invented the deep fried Mars Bar! The day started as usual in London though. 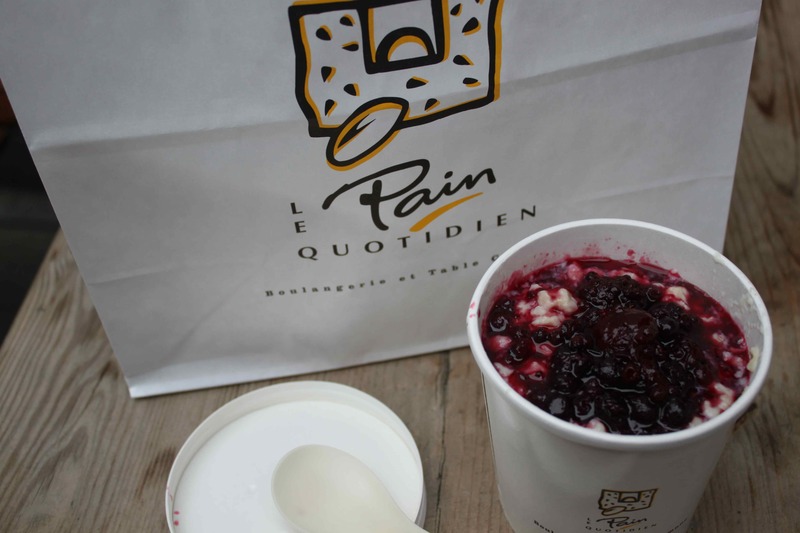 Le Pain Q for breakfast – take out. 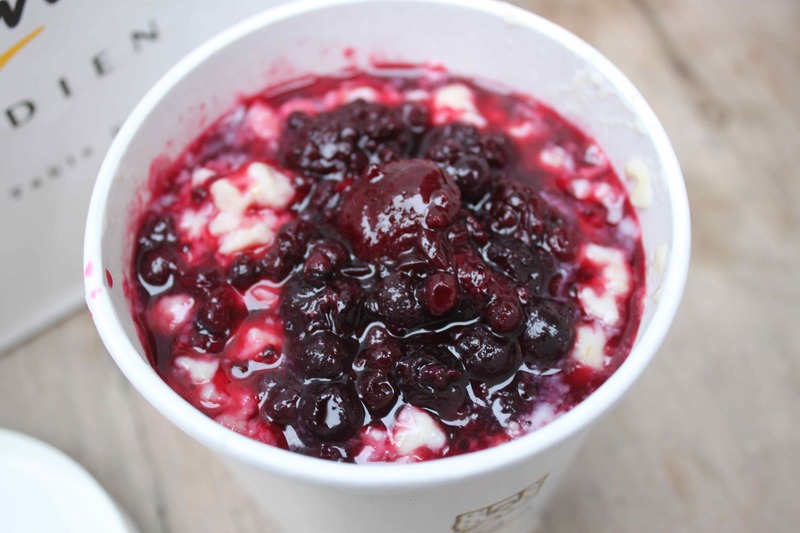 Porridge with stewed fruit eaten at my desk. Delicious. 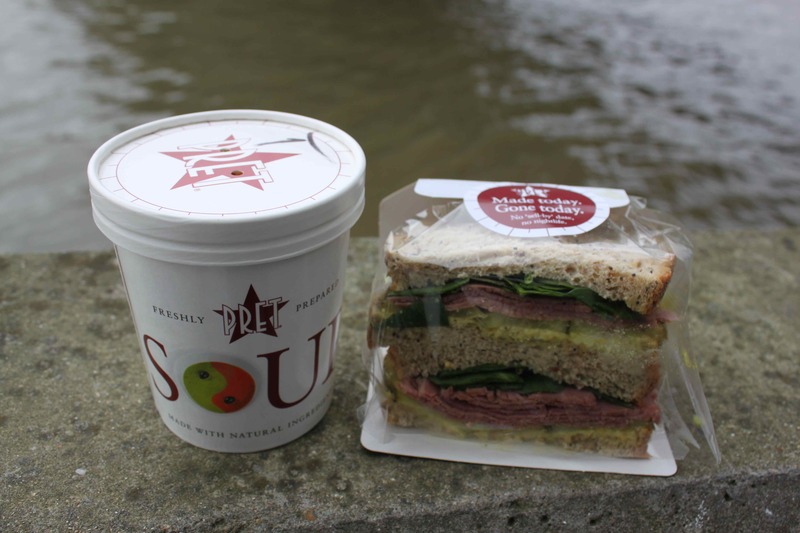 Lunch was from Pret and eaten by the River Thames; NY pastrami sandwich and tomato soup. Their tomato soup is fabulous. 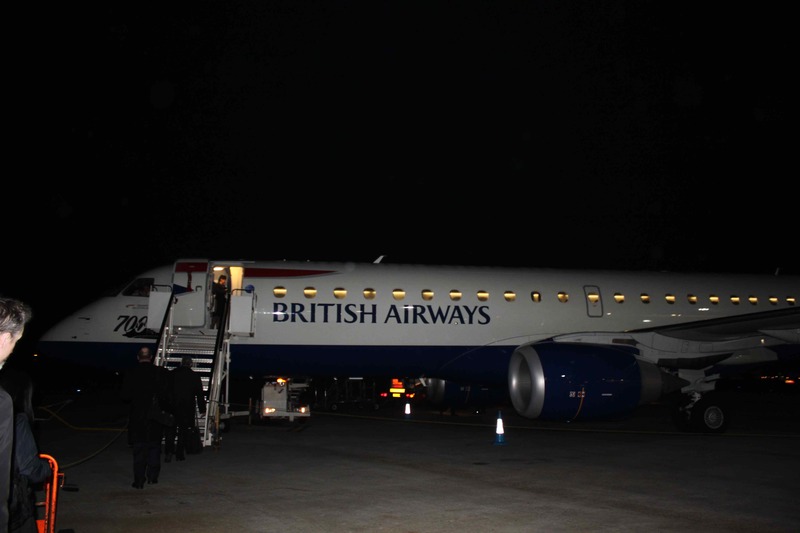 Off to City Airport for the 20:15 flight to Glasgow. 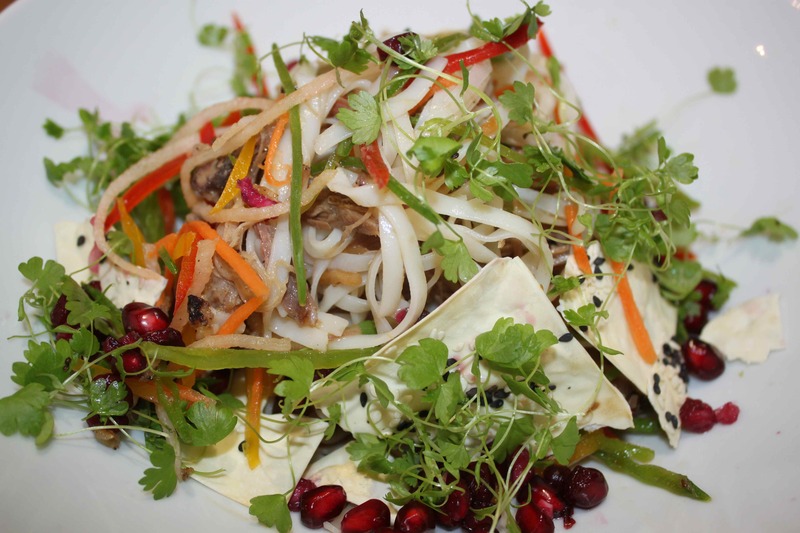 Supper in the Departure lounge was a duck salad – pretty good. 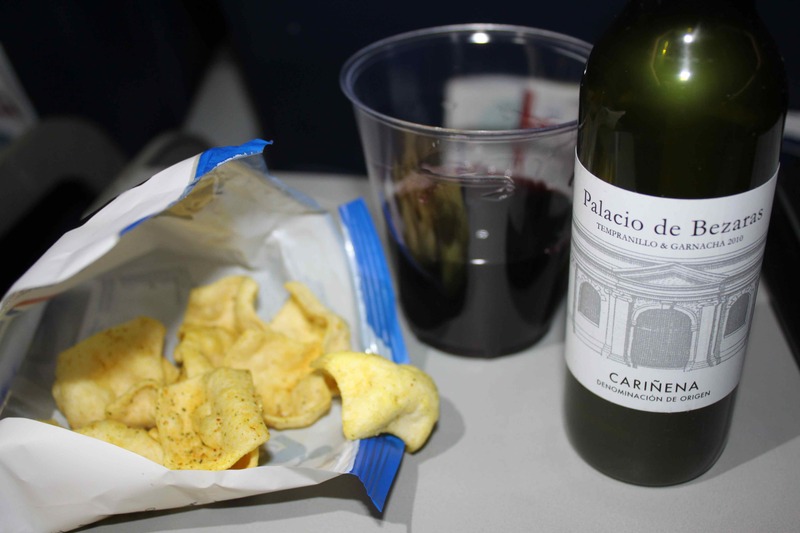 On flight snack of chicken korma flavoured poppadoms (surprisingly tasty) and glass of red wine. Naughty. 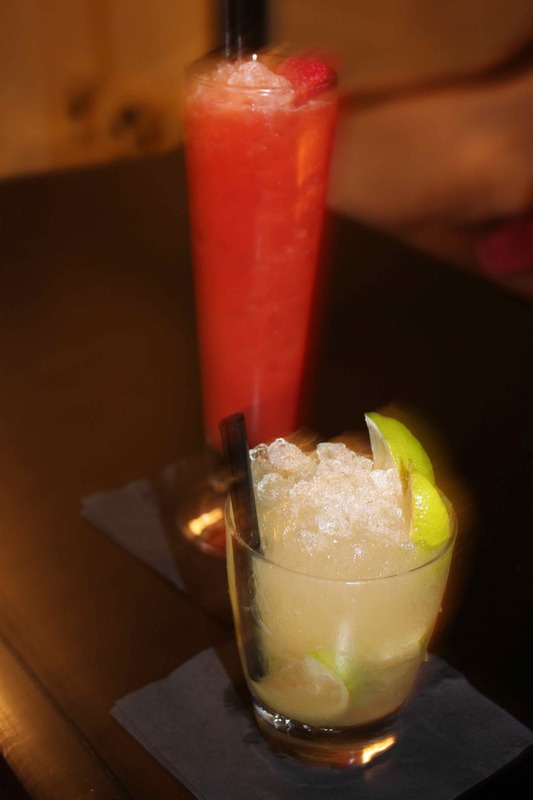 Little night cap – which was free as the bar man took too long to make it (he offered, we were quite happy chatting :-). Cheeky. This has been a long day. Sleepy. This entry was posted in Uncategorized and tagged Porridge, Salad. Bookmark the permalink. 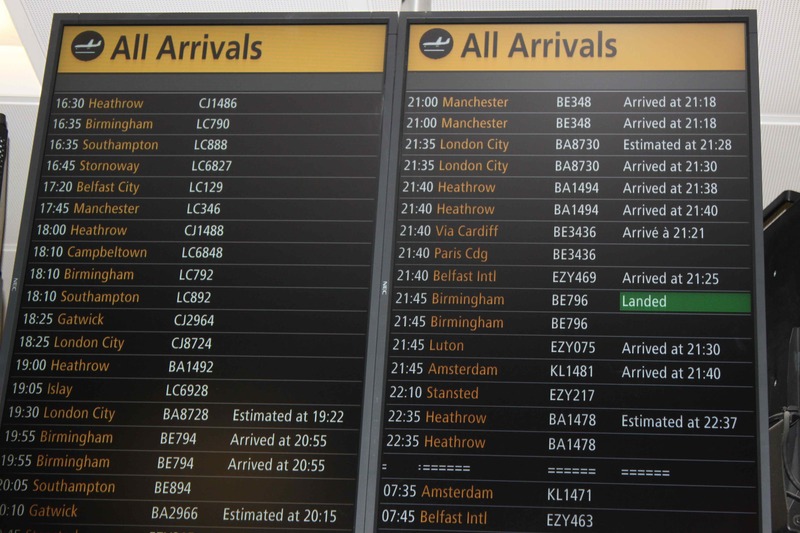 4 Responses to Greetings from …….. Working for just one day with a colleague from the London office. Quite fun but exhausting. Hi, you have put up a great site. Like to lose weight fast to and i like to eat nice food. i am going to get some recips from you. thanks.